This cemetery was first known as Morrellville Burial Grounds, and then Hill Rest Cemetery, and finally, today is known as Decker (probably because of its location on Decker Ave.) Most of those originally buried here have been relocated to Grandview Cemetery. 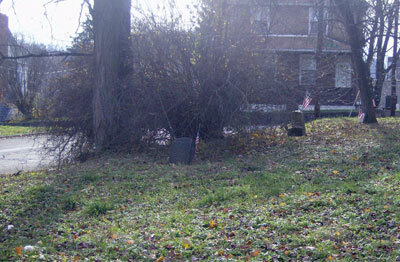 This cemetery is located in the City of Johnstown, at the intersection of Decker Ave. and Beatrice Ave. It is small and very easy to miss.